I bet you are reading this first line thinking where is this blog post going and is it worth my while reading on? I know. I’m the kind of person who picks up a book, glances at the back cover and flips right to the opening page. Once I’ve read the opening lines, I can tell right away if I am hooked, whether I want to read on. Because the opening line gives me a really clear idea of the journey that the author is proposing. I quickly decide: is this a journey upon which I want to spend my precious time? little brother, William, and her old little brother, Ian. This is a big help to her mother." It sets up right away that Olivia is quite a character –- one that I'd like to spend time with! Also, I am intrigued by the voice which uses phrases like "old little brother". Importantly, the opening sets up that Olivia unwittingly equals trouble and, as a reader, I want to find out what she'll get up to next. (She goes on to do amazing circus acts with cool aplomb). Editors and agents, who receive hundreds of submissions, are the same -- they have got to love the opening of a book to want to publish it. But picture book openings are notoriously difficult to get right. They are so few words for a start . . . Plus how will a story grab so many different people -– children, parents, elusive editors and agents -- at once?! Importantly, a fantastic opening contains the premise and situation of the whole book. In the classic We're Going on a Bear Hunt by Michael Rosen and Helen Oxenbury, the opening line states right off the bat: "We're going on a bear hunt". Then, the author invites readers on an adventure that appeals to children and grown-ups alike. Almost immediately, we encounter our first challenge -- long wavy grass. Oooh, we've got to wade through it . . . We want to join in! This opening also sets out the mood, tone and authorial voice. Do we want to go on this adventure? Of course we do -- we want to find out what the bear is like! There are three key elements to every good opening: who, what and where? 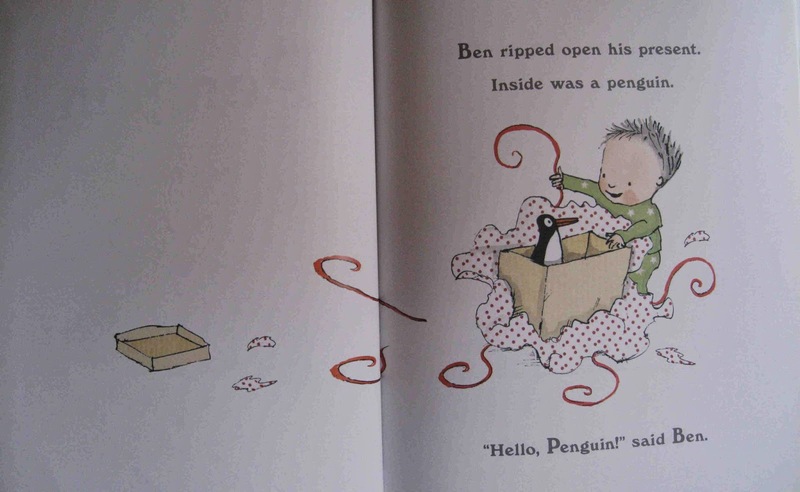 In Penguin by Polly Dunbar, the book opens with the main character, Ben, receiving a penguin as a present. Why does Ben get a penguin, we wonder? What if this were us? What will happen next? The opening in The Pig Who Wished by Joyce Dunbar and Selina Young is equally intriguing. 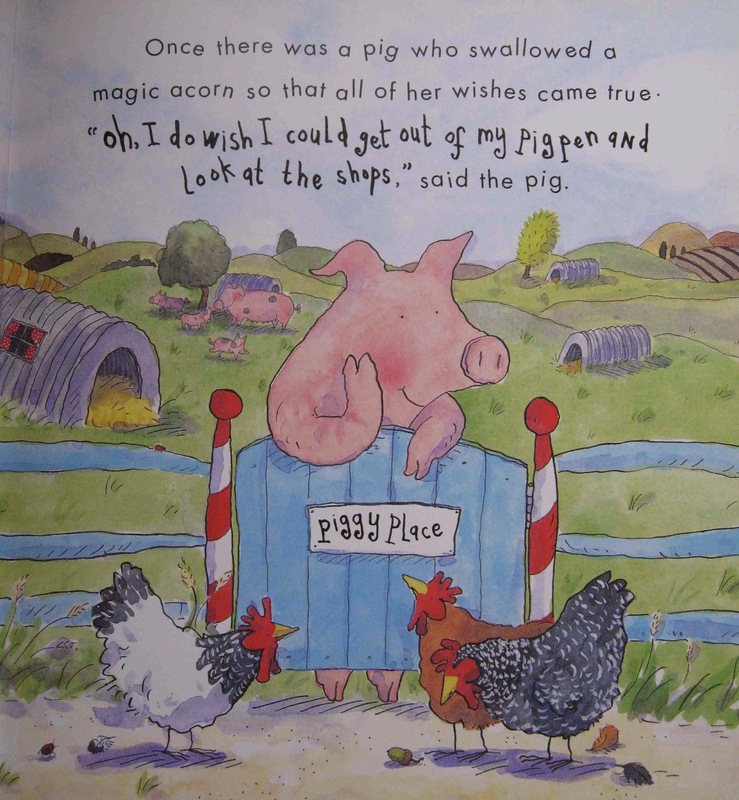 Though the phrasing is more traditional ("Once ..."), it quickly sets up that the main character is a pig with a difference, plus it promises a story with magic! 2. Where? sets the scene for the story, including the setting and the circumstances of the main action. In the classic The Very Hungry Caterpillar by Eric Carle, readers are enticed into the world of the little egg. We know we are in the natural world, full of promise and wonder. 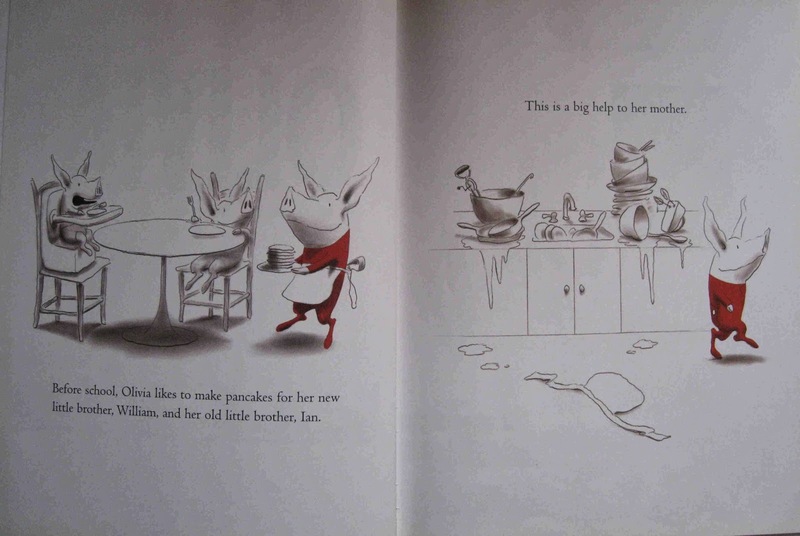 By contrast, the setting in Goodnight Moon by Margaret Wise Brown and Clement Hurd is very domestic, but filled with interesting details. The rhythm of the voice is quickly established and the familiarity of the child's world promises a comforting journey with this narrator. 3. What? sets up the main conflict and motivation of the character (what do they need?) that is going to drive them forwards. 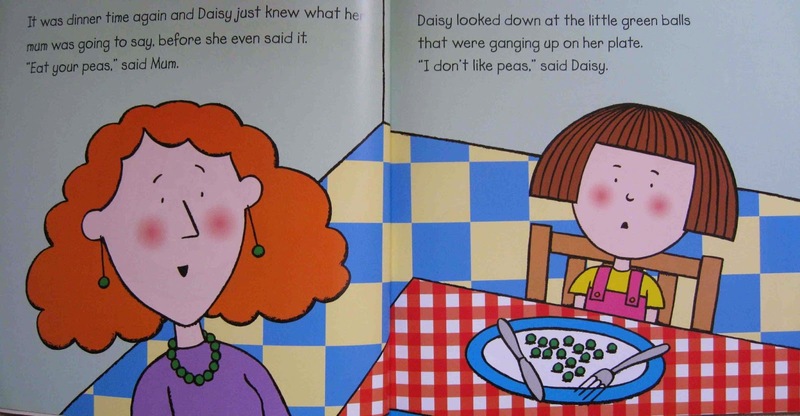 In the first spread of Eat Your Peas by Kes Gray and Nick Sharratt, we meet Daisy and her mum at loggerheads over dinner -- how will they resolve their differences? Similarly in the opening lines of Fix It Duck by Jez Alborough, we meet the main character, Duck, who has a pressing problem -- a leak in the roof -- and whose fixing prowess, we later discover, is decidedly dodgy. Readers are immediately drawn into the rhythmical storytelling of this author's voice. In the first spread of Emily Brown and the Elephant Emergency by Cressida Cowell and Neal Layton, we meet Emily, Stanley and their friend Matilda. We jump right into an exciting adventure (one of many to come) and are intrigued to find out what will happen next. In this opening from No Matter What by Debi Gliori, the reader is thrown right into the middle of a situation -– Small is feeling grumpy. We want to know why he is grumpy and how will it be resolved. More than likely, we have been there ourselves, too, so we can empathise! 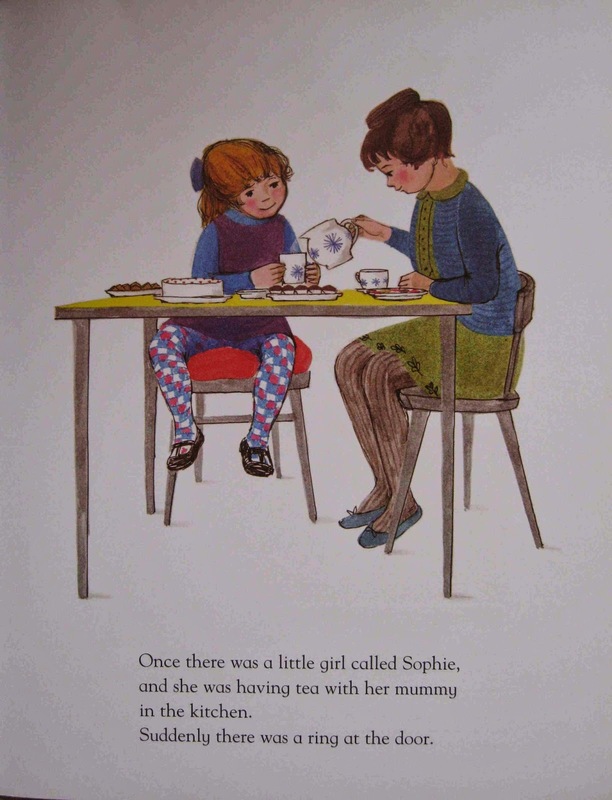 In The Tiger Who Came to Tea by Judith Kerr, readers are invited into a comfortingly ordinary scenario, but the promise of someone at the door (and the hint in the title) are intriguing enough to get readers to want to read on. Debi Gliori is a master at capturing domestic situations in a light-hearted and poignant way that appeals to adults and children alike. 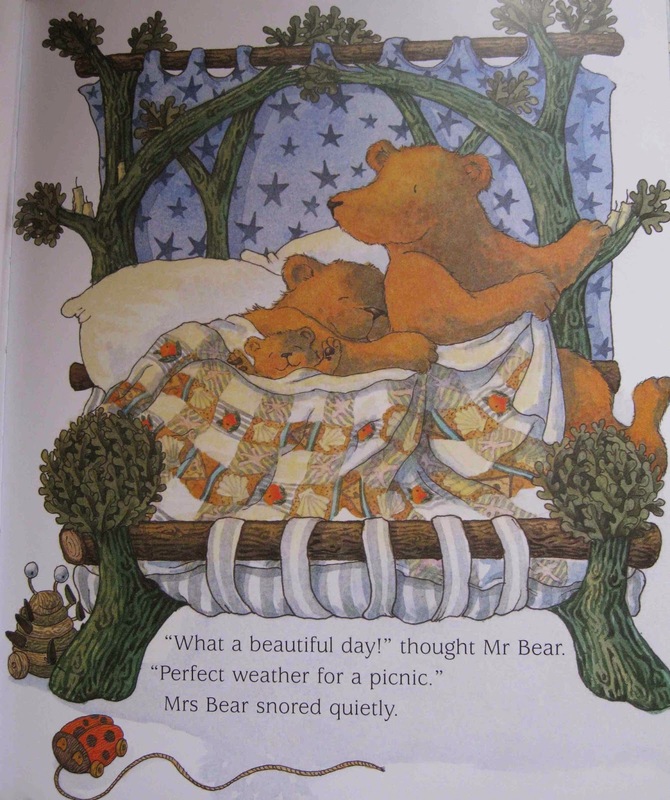 In Mr Bear's Picnic, the prospect of a sunny day with children is a great opportunity for a picnic. But Mrs Bear, who has two little ones, is determined to catch some extra shut-eye. The role of Mr Bear as the adult leader and the source of humour is set up in just a few lines. Laura Numeroff and Felicia Bond's bestselling classic If You Give a Mouse a Cookie sets up straight away a set of unusual characters in an intrguing situation. 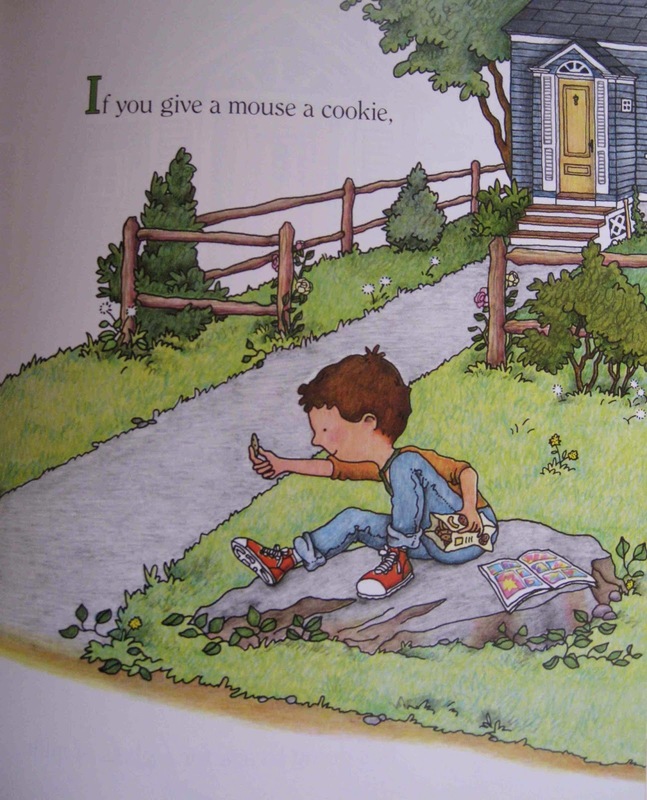 Why would you offer a mouse a cookie and what would happen if you did? 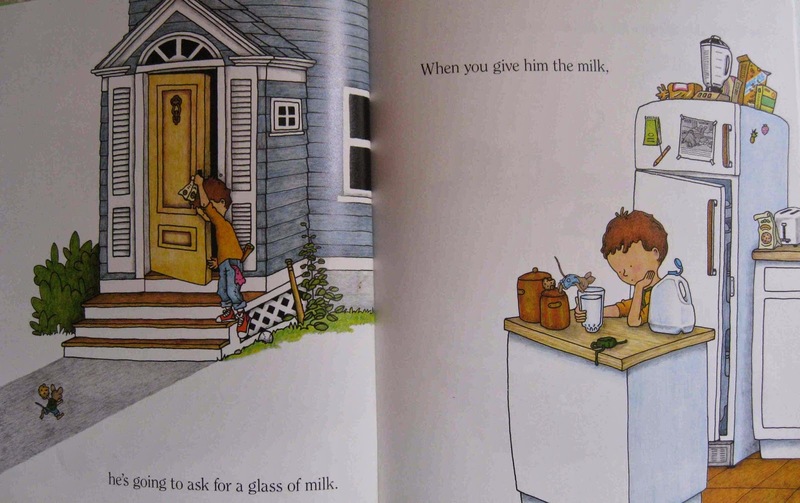 glass of milk, which would lead to a whole host of other things and back to a cookie. The circular structure of the story is skillfully crafted and really satisfying, but what really grabs you is the premise. So, with just a few words (and great illustrations! 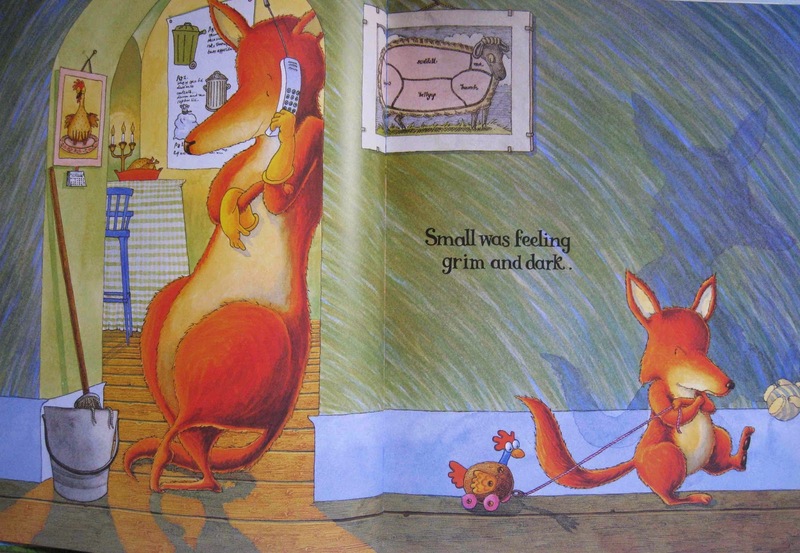 ), picture book authors can create openings that make readers want to read on. But what all these openings do is pique readers' curiosity. If readers are saying 'so what?' then the author has lost them . . . Now, about that blank page staring at you . . . What will its opening lines be? My favourite is Funnybones by Janet and Allan Ahlberg. 'This is how the story begins. On a dark dark hill there was a dark dark town...' etc. Now I'm looking at all my texts and worrying that they're not good enough. Sigh. Great post, Natascha! Thanks for sharing your favourite one, Michelle! It is a spooky- sounding opening . . . Thanks Natascha. A fantastic helpful post! And one day the Elephant went for a walk and he met a Bad Baby. And the Elephant said to the Bad Baby, "Would you like a ride?" And the Bad Baby said, "Yes." Oh how I love Fix-it Duck. My son's favourite (age 22 months) is Owl Babies. He also loves Goodnight Moon. Yes, I never tire of reading these - they are supremely crafted picture books! 'Once, in a place at the bottom of the ocean that is deeper, darker, further, wetter, colder, lonelier than anything you can imagine, there lived a Piglet Squid.' 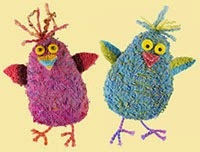 (Twinkle, Twinkle, Squiglet Pig by Joyce Dunbar and Tim Hopgood). Thanks, all, for sharing these opening lines - it's always good to have a prompt to go and check out old and new picture books to see why they work so well. This is my first visit to your site, but definitely not my last! Interesting and useful read, some great thought provoking points and examples. Nice post Natascha, and some great examples. I find that until the opening of the story is right, it's hard to get the rest of the story to work, somehow. Also, the opening lines are the bit that you read the most when editing and writing, for me anyway, as a picture book needs to be read from the beginning every time to see how it's all flowing, so I guess it would be the most polished section of the book. This post is so encouraging! You never realize how much strategy goes into picture book writing until you try it yourself :). It's not easy to be a great storyteller. I love all the examples in your post. Thank you, Natasha, for these inspiring tips and examples to get our stories off to a great start. Great post, Natasha. Thanks very much for laying out your post with easy to read examples and illustrations to match. Now, I'm going back to check my opening on my latest WIP. Great advice and wonderful examples! Thank you.